You may download the zipped file containing both the PDF instructions for this software project as well as the Emb Crown.BE file. Digitized using StitchArtist, the BE file can be opened in all Embrilliance programs which can save to the format used by your machine. If you have StitchArtist, you can see and manipulate all of the objects. This can be a fun way to learn about how a design is digitized in a hands-on manner! 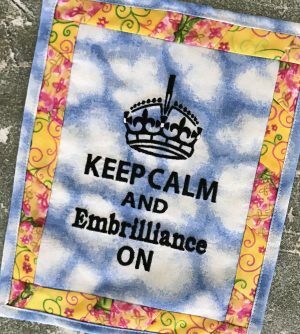 The included PDF file has Essentials software instructions for creating this embroidery layout for the 4×7 built-in multiposition hoop! Also included are a couple tips on aligning designs with each other and using precise positioning of Enthusiast. We hope that you enjoy this project! We would love to see your creations using this design and/or lettering tool techniques! 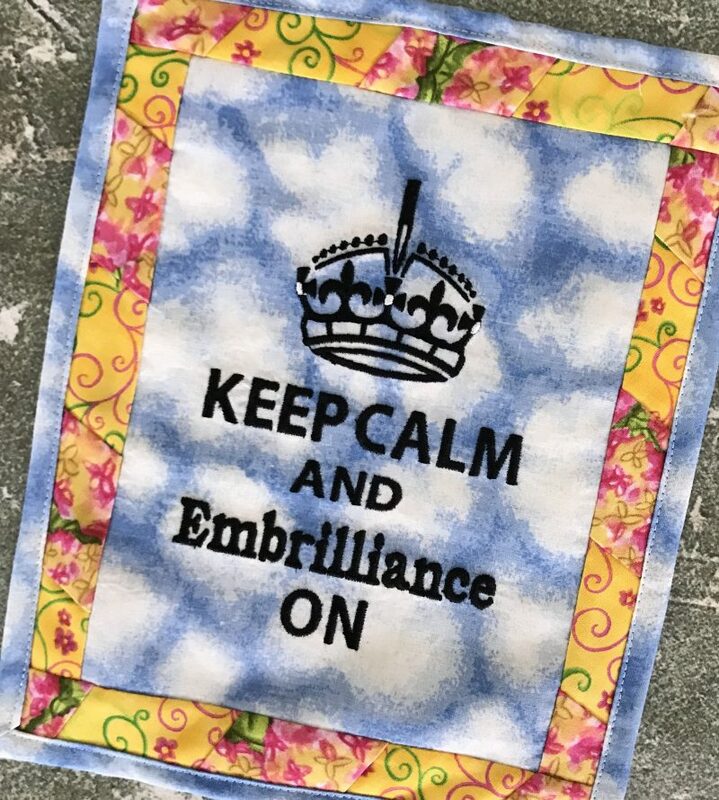 Click here to send us your photos of your projects to have them featured in the Embrilliance project blog! Enjoy! Posted 7 months, 4 weeks ago at 2:29 pm.